Today Sony announced two 400 Blu-ray Disc “Mega Changers” which I’m officially nicknaming “The Fat Boys.” The BDP-CX960 and BDP-CX7000 ES (Elevated Standard) 400-disc Blu-ray Disc changers will be released next month, as well as a new ES line single BD player labeled the BDP-S1000ES. The ES line BDP-CX7000 outputs 1080/60p and 24p True Cinema and features an RS232 connection and IR-in. It also uses Sony’s Precision Cinema HD Upscale technology when connected to a 1080p display via HDMI. For video the BDP-CX7000 ES incorporates Sony’s HD Reality Enhancer and Super Bit Mapping technologies. HD Reality Enhancer brings out details and reduces the effects of film grain. Super Bit Mapping delivers smoother color gradation realizing true 14-bit equivalent color tone from 8-bit sources. 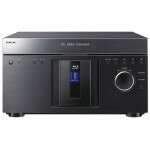 Like the BDP-CX7000, the Sony BDP-CX960 also provides 1080/60p and 24p True Cinema output in a 400-disc changer. The model also integrates Precision Cinema HD Upscale technology. 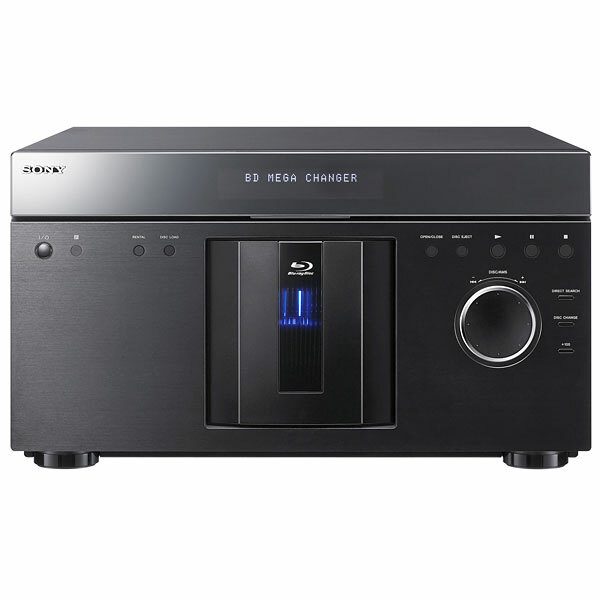 For audio both models output 7.1 channel analog, as well as 7.1 channel Dolby TrueHD and Dolby Digital Plus, DTS -HD High Resolution Audio, and DTS-HD Master Audio decoding. The mega changers also make use of Gracenote’s MusicID and VideoID which provides content information for music and videos like film cast, release year and genre. The BDP-CX7000ES and BDP-CX960 will be available next month for a suggested retails of approximately $1,900 and $800 respectively.